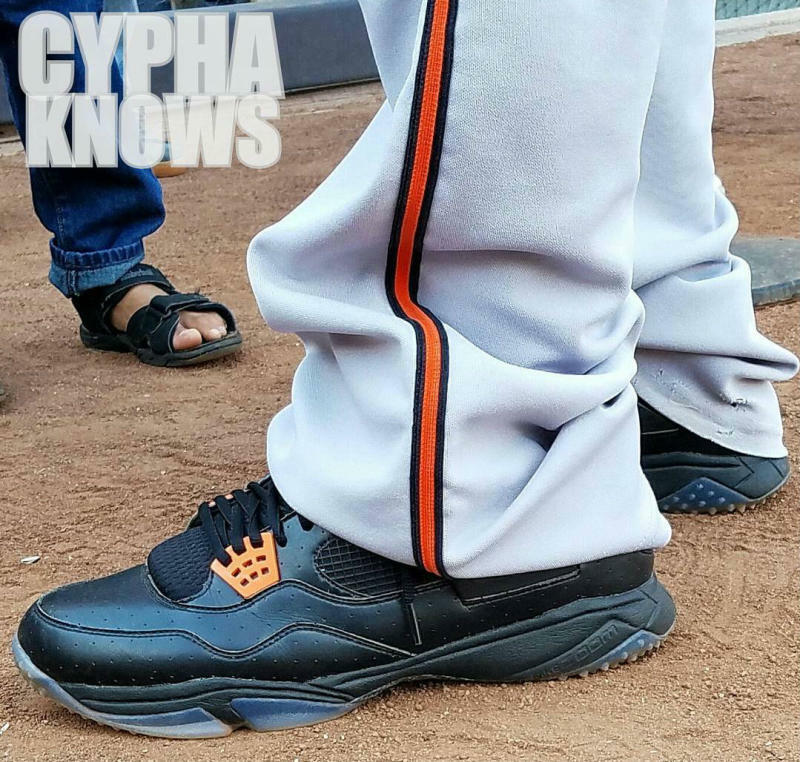 Check out the slugger's Air Jordan 4 cleats and turf shoes. Baltimore Orioles third baseman Manny Machado has put together a third All-Star worthy season in exclusive Air Jordans. Here's a look at two special make-ups of the Air Jordan 4 for Machado, each decked out in Orioles-inspired black and orange colorways. To dig into the diamond dirt, there's a traditional cleated version, while the turf shoe accommodates training. Machado also played a portion of the season in exclusive Air Jordan 7s.